When you come from Canada you will realize that a whole new set of security regulations are in place since the beginning of 2010. The single most important change is that you are not allowed to bring any carry-on luggage, which means you basically have to check luggage every time you fly. Did the Nigerian terrorist slow down the merchandising business? What does this mean for the checked bag fee? At least this time we were not charged for our 5 bags in total (for two passengers). Thus we saved around $100. So has the government just impacted the ancillary revenue stream recently installed by the airlines? Or in other words was the Nigerian terrorist with Al Quaida connections successful in killing (or at least slowing down) a billion dollar merchandising business in the upcoming years?At least for carriers flying into US territory this seems to be the case. It seems like the US demonstrates that their domestic security checkpoints work while others outside fail. Only a small bag with two handles is allowed as carry-on luggage, such as a pocket book, laptop bag or similar – no briefcases or backpacks. Bye bye trolley. – From now on one will need to “carry” their carry-on again. Far terminal distance stopover connections might be a hassle – especially when you try to avoid leaving the secured area. Interestingly other “bags” within this one bag must be clear (e. g. ziplock). So you are not allowed to bring a headset case, camera case, make-up case or similar. I guess this opens up a complete new fashion line for see-through bags. At this time, running out of options, I traveled with a recyclable supermarket bag. At the security checkpoint I would estimate it takes at least 5 minutes per person although you almost have nothing left to be screened. 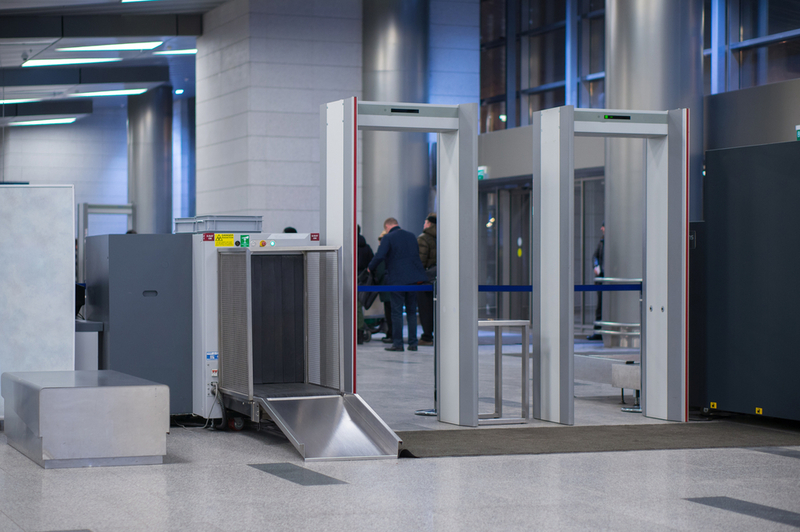 You walk through the metal detector but still will have to go through a thorough pat-down including waist band. Most items of the handle bag are inspected and some bags will have to go through an explosives test. I would guess things will improve when more sophisticated equipment such as whole-body imaging scanner will be widely available but at least for now, calculate some extra time if you fly into the US. Once again I doubt that one can find explosives or other things that are hidden inside your body or in the most private areas by these examinations. As Obama said recently: you cannot make the country safer by thoroughly inspecting millions of travelers every day while at the same time you miss to use and process intelligence you already acquired. While waiting for our departure we watched carefully to see if they could fit our luggage in the freight compartment after experiencing first hand that this should not be taken for granted. * Once on the aircraft however we have never seen so much space in our overhead bins while boarding as one of the last passengers. No rush to be the first on the aircraft anymore. But good luck finding your perfect carry-on bag for the new regulations! * None of our luggage made it to Canada in the first place and sat in Houston for over 3 days due to fully booked flights, while we were freezing in Miami clothes at minus 20 degrees Fahrenheit. Only two out of five made it back to Miami on our flight. Pingback: Travel Technology for Dummies: What Is Overbooking?